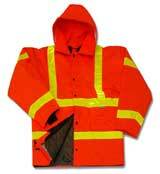 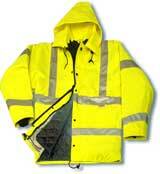 100% waterproof polyester shell with breathable mesh lining. 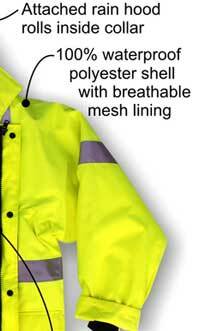 with attached rain hood rolls inside collar. 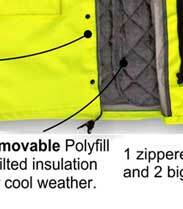 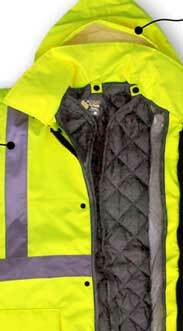 Rremovable-with-zipper polyfill quilted insulation for cool weather. 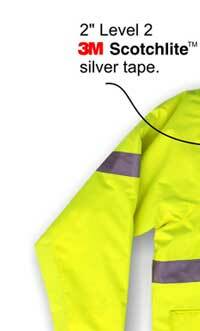 Ribbed inner cuffs to keep warm. 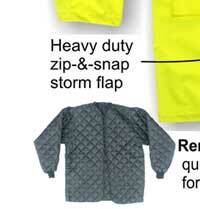 Heavy duty zipper-and-snap stom flap. 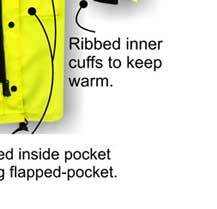 1 zipped inside pocket and 2 big flapped pocket. 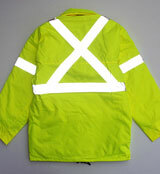 Hi-vis Pants are available to match with above Parka to meet CSA Class 3. 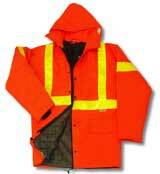 Size: S to 3XL.